And now we begin the retelling of the traumatic journey across the Flores Sea from Bali to Komodo. Traumatic is putting it mildly. 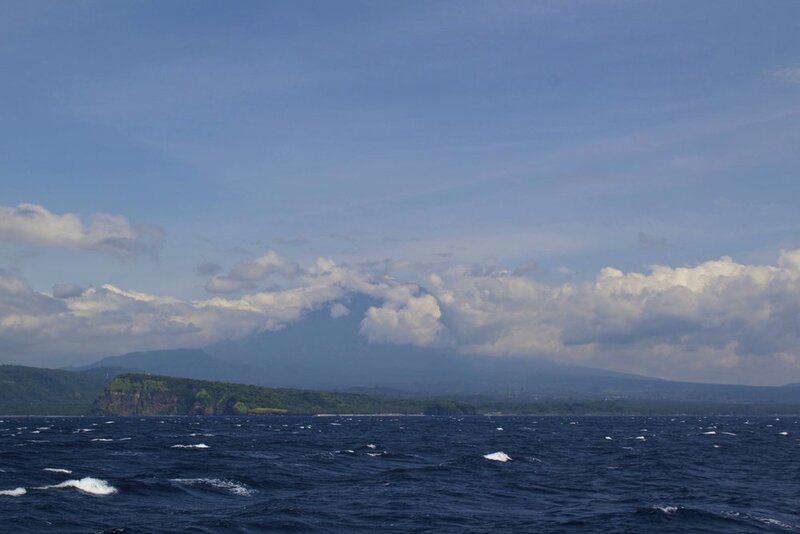 Our boat trip was set to depart from Lombok, the island directly to the left of Bali. This meant that we would need to stay in Lombok the night before the trip in order to get an early start the next morning. So the day before the trip started we set out early for our ferry across the Bali Sea. This was arranged through our trip ‘package’ which I will outline for you now. As I said before, in the absence of the ability to ‘do it ourselves’ we opted for a more touristic approach. At first I was a little bummed because I felt that I might be missing out on the ‘adventure’ I was after. But as it turned out, we were wading into far more dangerous waters than we expected with this boat. The most well established, publicized and probably trusted tour company in Indonesia is Perama. They are based in Kuta, Bali. But that is not the company we took. The boating company we chose was called Wanua Adventures. We had looked high and low for a good price for a boat over to Komodo but most trips (like the trip with Perama) cost more than 400 USD. That’s quite a bit of money so when we randomly saw a trip advertised for 243 USD we jumped on it like a hobo on a ham sandwich. As it would turn out, most of the people on this trip only paid 175 USD. Why did we pay more? Seeing as many of our fellow travelers booked the trip from the Gili Islands (off the coast of Lombok) my best guess is that our ‘package’ included the additional shuttle to the Bali / Lombok Ferry, the ferry ticket and our hotel on Lombok. Or maybe we just got screwed. But by the time the price difference was highlighted for me the money was already spent. No use crying over spilt milk. The remainder of the package included 4 days on the boat, with breakfast lunch and dinner included. SO ANYWAY – we were picked up bright and early at our hotel in Ubud and driven to Padang Bai where we were to board our ferry. It was chaos at the pier but eventually we were sorted onto our correct boat. 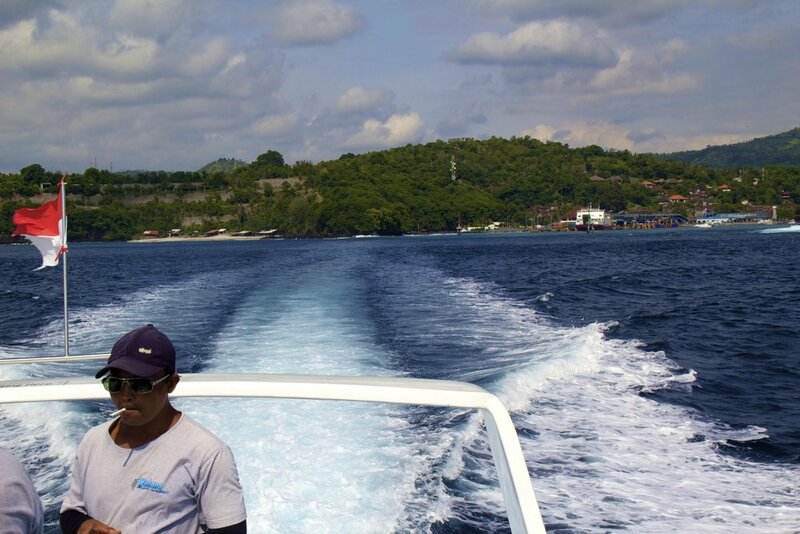 When it comes to boats, between Bali and Lombok at least, there are 2 options. Option 1 is the normal ferry, for all the commoners. It’s cheap but it takes like 6 hours or some needlessly long amount of time. The other option is just called the ‘fast boat'. It’s not a speedboat or anything but it will get you across the Bali Sea in about an hour, and it was included in our 'package'. We were on the fast boat with a company called Wahana. Once we were out of the harbor we were allowed to climb up to the roof of the boat where we could buy beer and layout in the sun. It was a fun ride. At the harbor we were met by an enthusiastic little man named Buddi who was apparently responsible for handling passengers during their time in limbo between Bali and the beginning of this company’s tours. He drove us 30 minutes or so to our hotel. I don’t think I was ever aware of the name of our hotel but it was cheap and it had pretty much everything you’d want except for working wifi. While driving us, Buddi had offered to show us around Lombok for 200,000 IDR (about 20 USD) each that day. That’s a good bit of money here but seeing as we had nothing else going on, we obliged. The first place he took us to was apparently his favorite restaurant. He said that it was where he went to unwind and ‘forget about the stresses of the world’. He spent the whole 20-minute car ride talking the place up while we smiled and nodded. Finally, we arrived at a rather drab-looking mall. He led us inside and to an ocean themed restaurant. It was probably the tackiest place I have eaten at in recent memory but Buddi had spent so much time and energy talking the place up to us that it was just kind of funny once we were actually there. The food was pretty mediocre but we appreciated the hospitality. From there he drove us an hour to something called the Weaving Village. 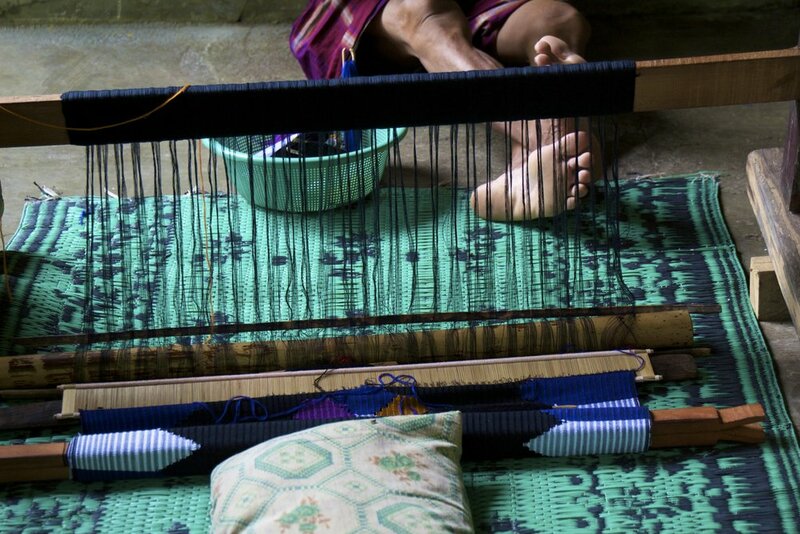 This is a village where traditional Island garbs are woven. The village is apparently a pretty significant piece of history for Lombok but to be honest, I was bored to tears during the whole experience so I’ll spare you the history lesson. I did my best to be a good sport as they taught me to weave and dressed me up as an ‘Island King.’ When it was over Buddi offered to drive us the Pottery Village but we politely turned him down in favor of doing nothing for the rest of the day. He drove us back to our hotel, singing along with 'Angie' by the Rolling Stones at the top of his lungs all the while. For me, the interesting thing about Lombok was how Islamic it was. 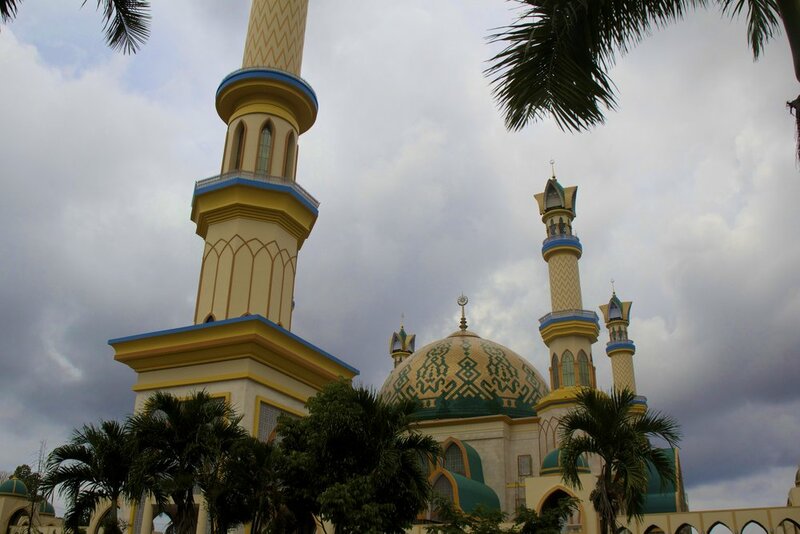 According to Buddi, Lombok is home to 1,001 mosques. There were literally mosques everywhere you looked and every few hours you could hear the call to prayer eerily wafting through the palm leaves and over the rice paddies. It felt very out of place on a tropical island. Obviously it was a big switch over a short distance from the Hinduism on Bali. Curiously, the next 2 islands over, Sumbawa and Flores, are both Christian Islands. Each of these 3 islands has a very strong and unique religious culture. The religions of these islands are mostly a function of which old-world powers colonized them, but where else in the world can you find this kind of religious diversity? Apparently there is a community on the North side of Lombok where Muslims, Christians and Hindus all live together in ‘total harmony’. I was happy to hear that such a place exists. That night we got a dinner by the beach and went to bed early. We were scheduled to be chauffeured to the harbor quite early the next morning so I charged all my camera equipment just in case there were no outlets on the boat. I'm going to warn you now, people—this next post is gonna get a little weird. Reader discretion is advised.